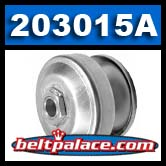 COMET 203015A | Manco (ASW) ASM-2594 | Model 40C Drive Clutch, 1" Bore, 1/4" keyway. COMET 203015A. Model 40C Drive Clutch, 1" Bore, 1/4" keyway. COMET 203015A DRIVE CLUTCH. Model 40C Drive Clutch, 1" Bore, 1/4" keyway.Genuine COMET INDUSTRIES part made in USA. Replaces: GKS G4000, Kenbar 400-001, MANCO (ASM) 2594, Comet 203015. Used with Brister, Ken-Bar, Carter, Manco & Kartco karts. Replacement 1101 - GTC TC40 DRIVER, 1 INCH BORE. GENUINE COMET INDUSTRIES PART MADE IN USA. NOT AN IMPORTED KNOCKOFF! Comet 209151A. Comet Industries 40D (7.5� Dia.) Driven Clutch #209151A. REPLACES: Manco 2432 Driven Clutch. Comet 209151A. Comet Industries 40D (7.5� Dia.) Driven Clutch #209151A. Specifications: Symmetric Belt System, 5/8� Bore, 7-1/2" Diameter, 3/16" keyway. Comet 209139A. Comet Industries 40/44 Series Driven Clutch. 7�/8� Bore. Comet 209139A. Comet Industries 40/44 Series Driven Clutch. 7�/8� Bore. 7-1/2� Diameter. Comet/American Sportworks-ASW/MANCO Part 209139-A. COMET DRIVEN G4 7/8" BORE SYMMETRIC - PART G4400. Comet 203044A. 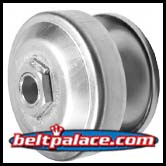 Package of 3 �Spring Clips� for Comet Industries 40 SERIES �40C� Drive Clutch. Comet Industries 203044-A.